Have completed the AIDA 2 Freediver certification or AIDA 2 Pool Freediver certification or equivalent. 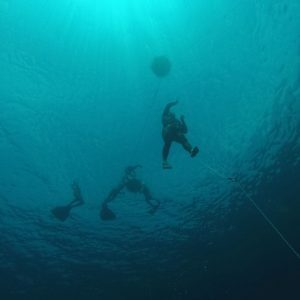 This one day course in total is an introduction to monofin swimming covering the necessary skills, techniques and knowledge necessary to start using the freediving monofin efficiently. 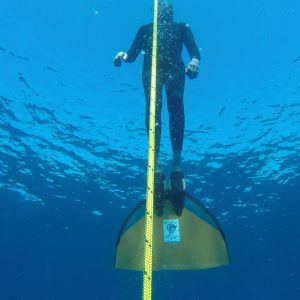 Students will be introduced to different approaches to freediving with a monofin, exercises designed to work on style and training programs to develop strength, flexibility and skill in using the monofin. The course consists of three components. The first component is knowledge development in the classroom of approximately 2 hours. The second component is either pool based or confined water based (in a protected area in the ocean) practicing monofin freediving skills. This session is about 2 hours. 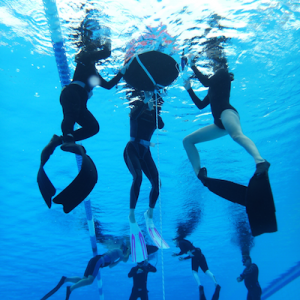 Students have the option of completing the third and final component in the pool/confined water or the ocean. If the student wishes to undertake the final session in the ocean the student will also need to purchase an Ocean Fun Day session. This freediving specialisation is typically offered on a one on one basis to individual students and is based on demand. While the use of monofins are encouraged it is still possible to undertake the course using smaller bifins and regular bifins. Please contact us to arrange suitable training times and dates. On successful completion of this course the student is awarded the AIDA Monofin Freediver certification and is registered on the AIDA website Education Online System (EOS). 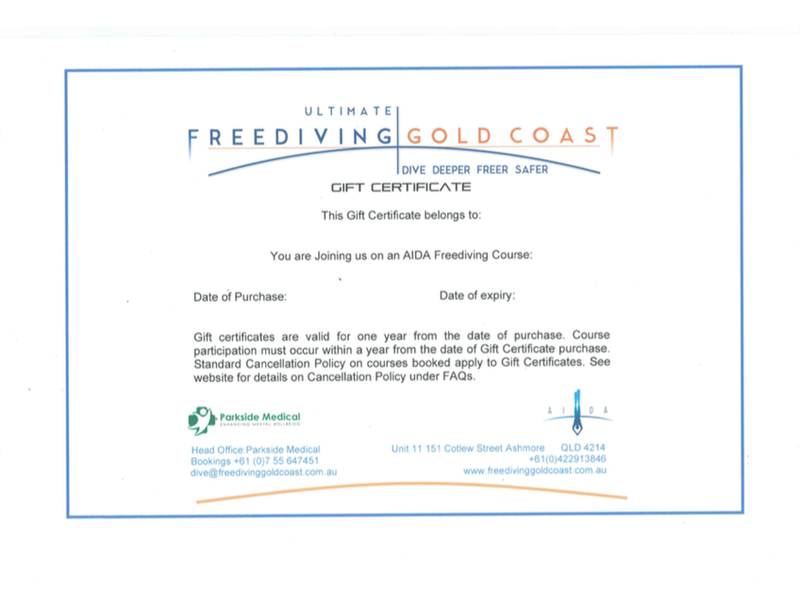 Be certified as a minimum as an AIDA 2 Freediver or equivalent level by an International organisation. Freediving Safety Lanyard (mandatory for all dives beyond 20m). 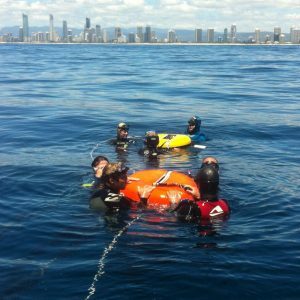 Freediving Gold Coast is the only freediving school in Australia that offers regular boat trips to practice freediving skills in the ocean in our own freediving boat – you are not sharing the boat with scuba divers. This is the opportunity to practice the freediving disciplines of free immersion, and constant weight with no fins, bifins or monofins. Depths are commensurate with a diver’s certification level. Depending on the dive site we dive to a maximum of 40 metres. Each Ocean Fun Day typically consists of 2 sessions of freediving of approximately 90 minutes each or three hours in total. Pick up times are dependent on weather and sea conditions and are confirmed 24 hours prior to the day but these freedive days are typically from 8am to 1pm. 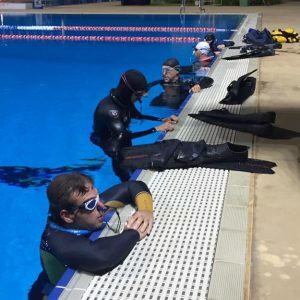 Freediving Gold Coast welcomes freedivers from other international organisations who wish to have a fun day out with us to continue to practice, maintain and challenge their skills. The adage of “if you don’t use it you lose it” very much applies to depth diving in the ocean. 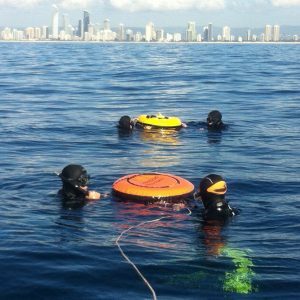 Ocean Fun Days are also ideal opportunities for students to further practice diving to meet course standards for certification (if the standards were not achieved during their enrolled course).